With apologies for the slip into scifi fandom, I’m back on form today with a new book review. 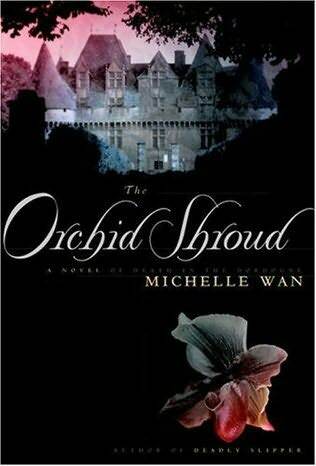 This one is the follow-up to my previous post “a lovely orchid of a novel” [https://lizaanne42.wordpress.com/2009/06/10/a-lovely-orchid-of-a-novel/]. This is the second book in the series. Summary: During her renovations of an ancient baronial manor, Mara Dunn and her workmen discover the mummified corpse of an infant. Wrapped around the child is a shawl embroidered with the elusive orchid that Julian Wood has been searching for. Together Mara and Julian research the family’s history to uncover the child’s and the orchid’s origins. Meanwhile, the countryside seems to be under attack by a werewolf. Could they all be connected? As with the previous book in the series, Wan’s descriptions of the Dordogne region of southwestern France are lush and darkly real. Her forests, here, seem to envelop the novel’s characters, dragging them into the shadows of the trees, where there is both danger and beauty. Most of the characters introduced in the first novel make their reappearance here, albeit rather briefly. Having spent significant amounts of time creating and building these people into a community in her first novel, Wan just lets her minor characters be themselves here. Also, Wan introduces several new and well-developed characters, all involved with Christophe de Bonfond and his extended family, their servants, and their ancestors. Julian and Mara spend time during the story considering themselves and their relationship. These two grow as people. We, as readers, have also learned to trust them, so when Mara is accused by the police of murder, we know she isn’t guilty. Now, they just need to learn to trust one another. 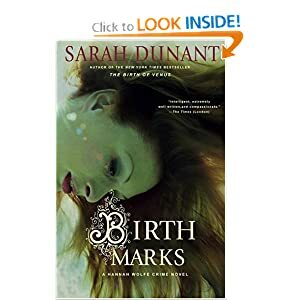 There are about 5 levels happening in this novel simultaneously (in no particular order) : 1-the on-again, off-again relationship between Julian and Mara; 2-the investigation into the infant’s death; 3- the hunt for the werewolf (? ); 4- the search for the elusive Lady’s Slipper orchid; 5- the historical narrative of Henriette and the De Bonfond/ Verdier family in 1870. Soon, Christophe’s mysterious disappearance becomes a 6th level and implicates him in the series of recent murders. As before, the narration here is told in third person limited and moves from character to character, as needed by the story. The narration’s primary foci are Julian and Mara, naturally. However, because a certain element of the story is dependant on events in 1870, Wan also provides narration from Henriette’s perspective. This marks a departure from her previous novel, which was all set in the present tense. 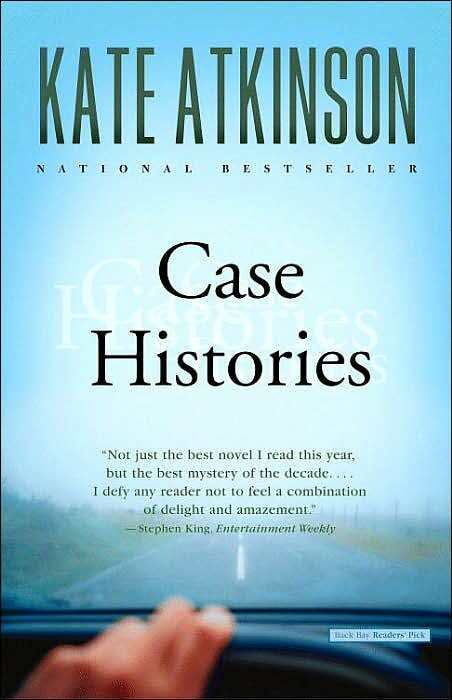 These glimpses into the past help keep the reader about half a step ahead of our modern characters, and, in fact, provide us with a bit of sastifactory closure that Julian and Mara do not obtain– though they do have the clues to hand. In addition, because of the werewolf murders, Wan includes a certain amount of wolf narration, which simply adds to the uneasy relationship between the real forest and the dangerous woods of the folk tales. Overall, I think the second verse is even better than the first, particularly as there is more happening in this novel. I’m looking forward to reading the third. 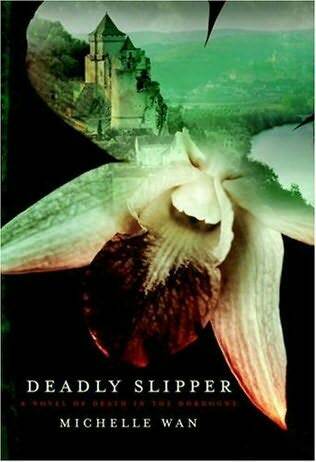 Summary: Mara Dunn follows the trail of an elusive series of orchid photographs in order to find her sister, who disappeared years before. She enlists the help of a local orchidologist, Julian Wood. Together, they trek through the forests of southern France on the search for clues. Beautiful novel! From the first few paragraphs, with their lovely, simple descriptions of the French countryside, I was hooked: “Everywhere the earth is densely clothed in trees, for this is the heart of the Périgord Noir– Black Périgord– named for the darkness of its great forests. Within their shadow, ancient footpaths wind over root and stone.” The scenes in which the characters explore the woods, farms, and marshes feel real, as they should. The author and her husband frequently visit the area, according to her bio (see link at the bottom). The narration shifts between third person limited views from most of the major characters, but particularly with Julian and Mara. We see and hear enough from each character to really like them, but also to still feel suspicious because of some of their actions. The mystery is compelling, and the local characters who people the novel are well-drawn. Each one is distinct, interesting, and believable: from the grotesque ‘ogre’ Vrac who lives in the depth of the forest to the very modern psychoanalyst Patsy in New York City. My favorite part of this novel is that the clues kept me guessing and thinking. 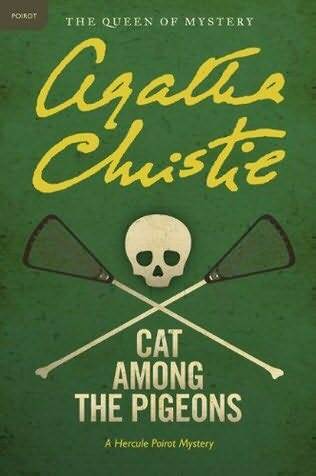 Using Agatha Christie’s rules for a mystery, the reader should not be able to predict the ending but should have all of the clues necessary to do so. May’s mystery “plays fair.” By having Mara receive advice on the mystery from several sources, May brings up suspicions and theories for the reader as well. She then dishes up her share of red herrings, but all of the clues are there, so by the end of the novel, all of the pieces fit nicely together. (You will have noticed by now that I’m talking very little about the plot– I’m trying not to ruin it for you.) 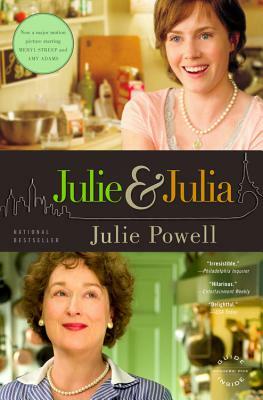 Speaking of dishes– her descriptions of food are mouth-watering! Now, I am a gardener, which is why I picked up this novel in the first place, but I know less than nothing about European ground orchids. It didn’t matter. Through the novel, the reader is given quite a thorough, and enjoyable, education into the species, habits, and fascination of these exotic plants. 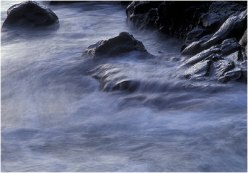 It didn’t feel forced, either, but, rather, it grew naturally as part of the clues used to solve the mystery. 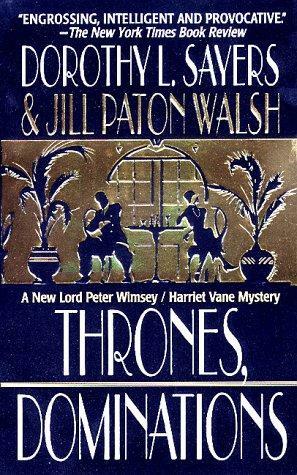 I like to have learnt something after I have read a novel (which is one reason I enjoyed Lillian Jackson Braun’s early “Cat Who…” novels so much– a shame about what’s happened to them). After reading this book, I’ll probably check out the orchid section the next time I’m looking for plants for the garden (not that European orchids would grow in Florida, but just for the fun of it). In addition, May drops French frequently into the dialogue– as the book is set in France, and all. You don’t have to speak the language to understand the meanings, but I like learning bits of new words and languages. It’s a nice bonus. Overall: I’ll be checking out the next book in the series soon! Well done!